Sweet Samantha is 12 and She is confused after being left at the shelter. She needs help now, the shelter is FULL! Please SHARE for her life, she's SO precious and a FOSTER or ADOPTER would save her. 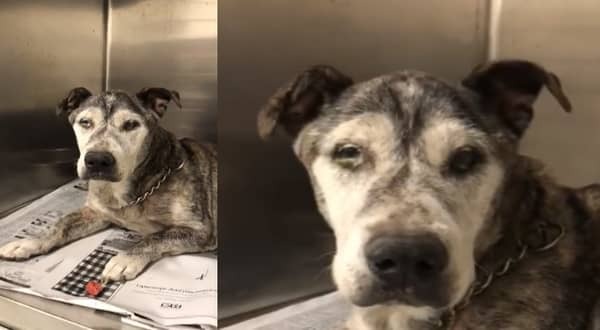 This special senior gave 12 years to her family and they left her at the shelter because they said she is sick. She would rather they took her to a vet and then back home but she is in the shelter and she needs help fast. She’s available for adoption, foster or rescue! 3 Responses to "Her only family left her saying it is time to be euthanized, they left her alone when she needed them most"
Transport can be arranged. But first someone has to show up in person.